Metropolitan Chorale – Be Inspired. Be Moved. Be Uplifted. The Metropolitan Chorale is a 100-voice auditioned chorus, and one of Boston’s premier vocal ensembles. The chorale is a vibrant community of musicians drawn together by a commitment to performing stellar repertoire at high standards, while fostering a warm, welcoming atmosphere. Saturday, May 4th, 2019 at 8:00 p.m.
Sunday, November 11th, 2018 at 2:00 p.m. The combined voices of the Metropolitan and Commonwealth Chorales present Verdi’s titanic masterpiece. The 180-voiced chorus performs under the baton of Lisa Graham in New England Conservatory’s Jordan Hall. Sunday, March 10th, 2019 at 3:00 p.m. Your contributions help make our music possible. Donate online with a single or recurring donation. The Metropolitan Chorale is grateful for the support of our advertisers from across the Boston metro area. We thank the following businesses and organizations who partnered with us for the 2018-19 season! For more information about ad rates and specs, click here. If you shop on Amazon, you can help support the Metropolitan Chorale [aka Brookline Chorus] by starting your shopping using this Amazon Smile link. A portion of the proceeds from your purchases will be donated to us. Thank you! The Metropolitan Chorale is proud to acknowledge our support from the Massachusetts Cultural Council. Their collaboration ensures our success and in turn enriches our whole community. Soprano Caroline Corrales is proud to make her Boston debut with the Metropolitan Chorale. Hailing from St. Louis, Missouri, she earned a Bachelor of Music degree from Webster University, and is currently pursuing a Master of Music degree from Boston University. Recent stage credits include Maria in Jasper Sullivan’s A Shell of a Troll (world premiere), Fairy Godmother in Pauline Viardot’s Cendrillon, Madame Herz in W. A. Mozart’s The Impresario, and Sophie in Jules Massanet’s Werther. She made her European debut in Périgeux, France, in the role of Guadalena in Jacques Offenbach’s La Périchole. This past spring she was named a winner of the Southern Illinois Young Artist Organization’s annual Vocal Competition, and she was previously a Regional Winner of the New York Lyric Opera Competition. She currently resides in Boston, Massachusetts with her husband and two young children. Alexandra Dietrich, originally from Freeport, Maine, is a mezzo-soprano who has been praised for singing with “passion and understanding”. She is a graduate of the University of Southern Maine with a BM in Music Performance and attended the Longy School of Music for her GPD in Opera. Alexandra has performed with many Boston area opera companies and orchestras including Odyssey Opera, Juventas New Music Ensemble, Boston Youth Symphony Orchestra, OperaHub, Eureka Ensemble, and MetroWest Opera where her recent performance as Jo March in “Little Women” was hailed as “large of personality with an instrument to match” and possesed “polish and star power” and was awarded the Arts Impulse Award for Best Female Performer in an Opera this past March . Favorite roles to date include Anita in “West Side Story” with Asheville Lyric Opera, Jade Boucher in the New England Premiere of “Dead Man Walking”, and Carmen in NEMPAC Opera’s “Carmen”. She is the proud mother of her one year old son, Javier Tadeo. 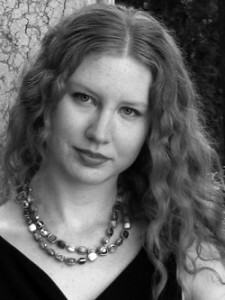 Please visit www.alexandradietrich.com for more information about upcoming performances. After having the privilege of singing alongside the Metropolitan Chorale in the Boston Pops’ Holiday tours for the past three years, tenor Michael Merullo is thrilled to participate in the choir in a new role as tenor AIR. As a native Bostonian, Michaelperforms mostly in the local opera, choral and musical theatre communities. This season Michael will return to the Odyssey Opera stage to perform a concert version of Charles Gounod’s La reine deSaba (The Queen of Sheba.) Michael looks forward to singing the tenor recitative in Bach Cantata 140, “Sleepers, awake” with the Cantata Singers. Christopher Weigel, baritone, is quickly becoming an established classical singer, teacher, composer, actor, and contemporary recording artist. Since earning an M.M. from New England Conservatory (NEC) in 2013, immediately following his bachelor’s degree in Vocal Performance and Music Education from Ithaca College, Christopher has served as music director at two Boston Catholic schools and now teaches music in the Stoughton Public Schools. While at NEC, Christopher starred in a traveling outreach opera for children in Greater Boston and held a lead role in the US premiere of Rossini’s La Gazzetta. He was also a dueling pianist at the famous Lansdowne Pub at Fenway and sang in the opening quartet for Keith Lockhart’s Christmas Carol Sing-Along with the Tanglewood Festival Chorus. This past year he premiered a recently discovered cantata by Giacomo Carissimi at the University of Hartford under Dr. Susan Mardinly (with grateful permission from Biblioteca of Venice Conservatory of Music “Benedetto Marcello”). For the past four years, he has enjoyed touring with the Metropolitan Chorale and Boston Pops on their annual Holiday Tour. Christopher currently writes and records new music in Boston, where he lives, while actively pursuing new opportunities in his music career. Learn more at www.ChristopherWeigel.com.